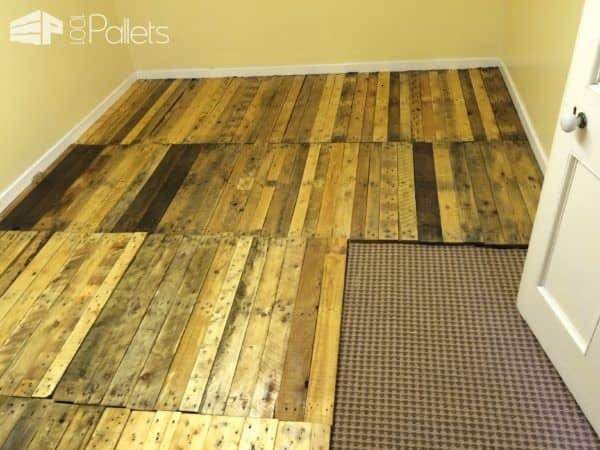 A Removable Pallet Kitchen Floor?!? YES! Here's a brilliant, budget-friendly, temporary fix for a serious foundation leak. A friend wanted a new kitchen floor. However, they have a constant leak coming from under the foundation. We were limited to what we could use due to the moisture. Both laminate and tiles would have eventually pushed up due to the water. 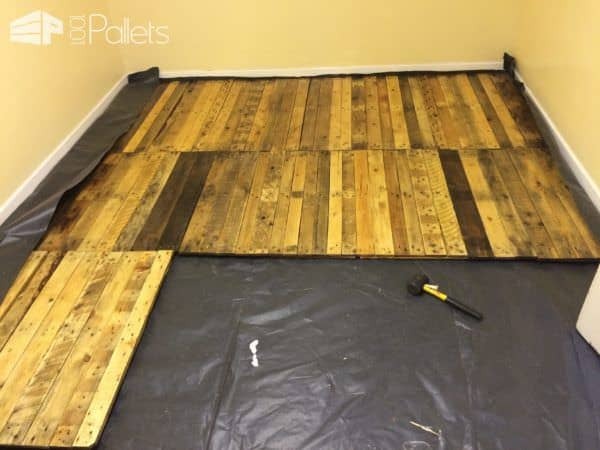 I designed a temporary "rustic " pallet wood floor for her. 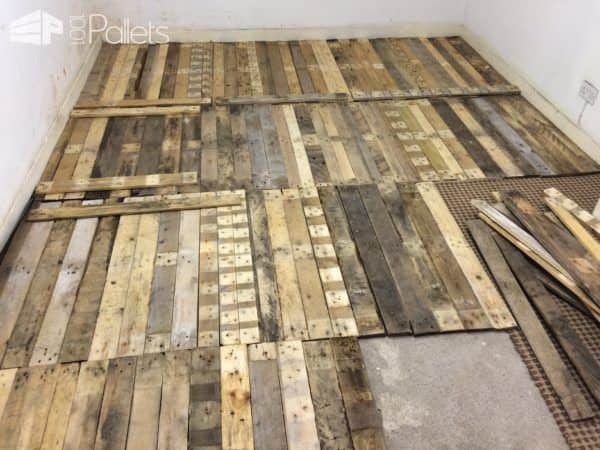 I designed this removable pallet kitchen floor in a way that it could easily lift up when it's time to work on the leak. 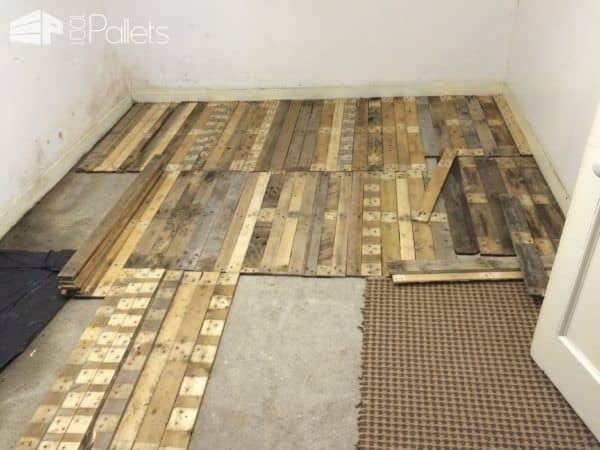 We used a total of 16 pallets to cover approximately 12-14 square meters. The hardest part was removing and fitting the pallets in place to fit in between the walls. First, we dry-fitted the pallet slats into the area we wanted to cover. When we had them all laid out the way we wanted, we then removed them. 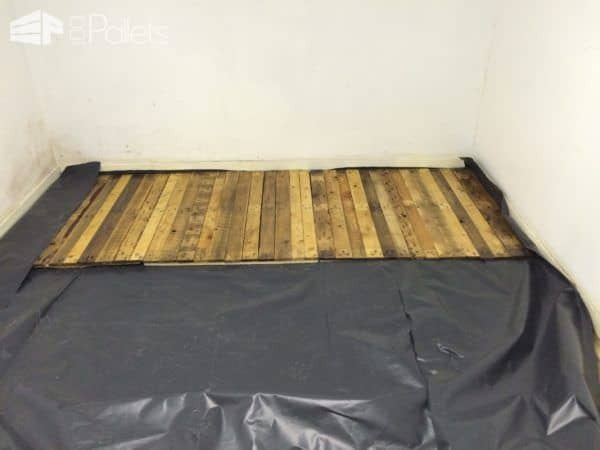 We put a plastic barrier sheet down, and then made a three-plank base - also pallet wood - to keep the floating floor at least 2.5cm from the ground. We secured the slats in place with 30x4 wood screws. 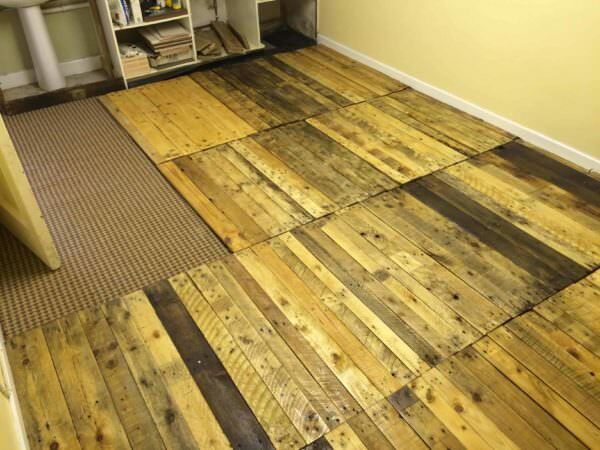 We used about three boxes of them to make this floor! We didn't do a lot of fancy sanding or anything like that. This is only a temporary fix, after all. We finished the planks with 5 liters (used 2 of the 2.5L containers) of satin-finish yacht paint to prevent water from getting into the wood if it leaks again. We didn't put pallet flooring down in front of the door, as the raised height would have made us modify the door.  We think it's a very good idea until the causative problem can be addressed the way it needs to be. It'll make the room usable again! This project took us four days to complete. It looks great! Could you not leave it down?